We have previously talked about the best dog friendly cafes in Auckland and thought it was only fair to do the same for those of you visiting the capital city of Wellington, looking for a dog cafe. 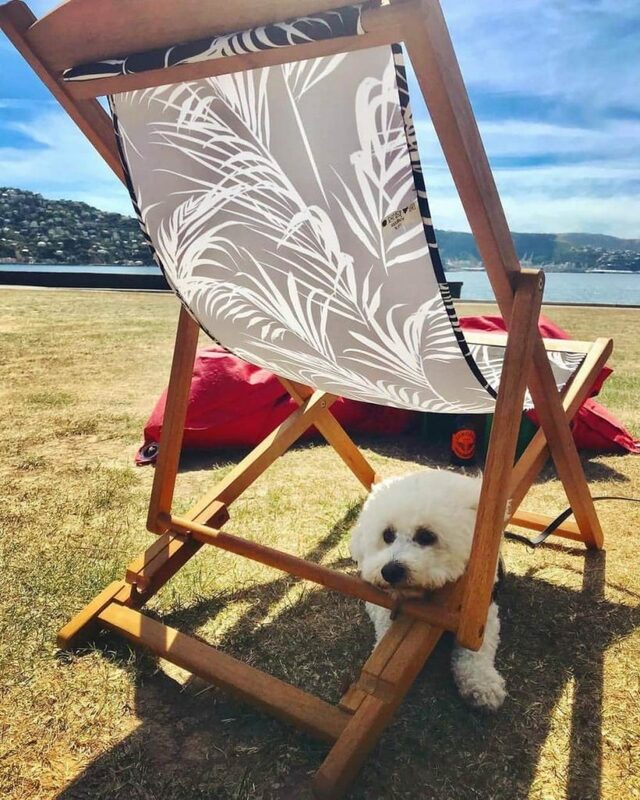 Whether you live in this gorgeous city or are simply taking a holiday with your dog, this post will point you in the right direction where you find yourself the most dog-friendly cafes in Wellington, perfect for when you are in need of some relaxation and a good cafe latte with your pooch! Although there are a lot of places that are off limits to our furry friends, in general, New Zealand is a dog liking country. You will find stacks of dog-friendly accommodation owners who will happily welcome your dog, and along with this, I’m happy to report that New Zealand’s cafe owners are finally realising that, in a country where 64% of households own a pet, dog owners want to bring their four-legged friend to the cafe table. It’s refreshing to see how many cafes now allow well behaved, trained dogs. 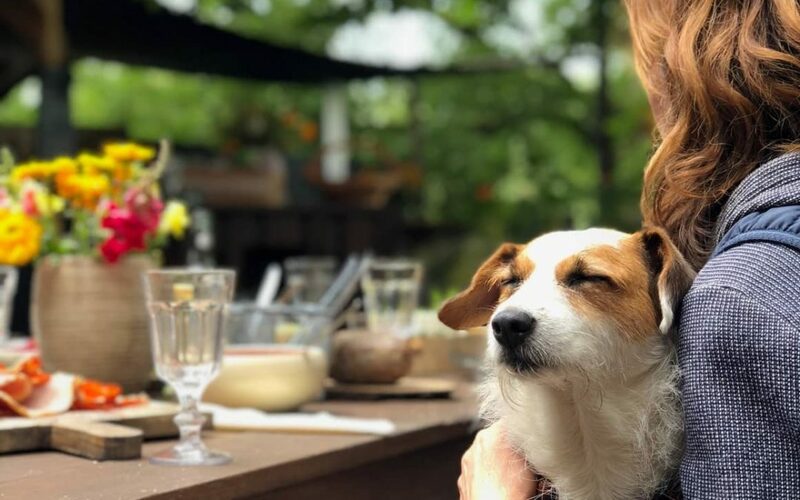 Without further ado, let’s see where you can share a cuppa with your pooch in your favourite dog-friendly cafe in Wellington. Beach Babylon is a retro beachside cafe in Oriental Bay in Wellington. Serving brunch, lunch and dinner, the cafe is situated across from the beach making it the perfect place for grabbing a light lunch after a walk along the beach with your dog. The meals are hearty and delicious, our personal favourite is the creamy coconut garlic and thyme wild mushrooms on toast. This cafe welcomes well-behaved dogs and will happily provide water bowls. #2 Chocolate Fish Cafe. Shelly Bay Road. The Chocolate Fish Cafe in Wellington is the perfect cafe to relax in with your dog! The Chocolate Fish Cafe is the perfect place to enjoy a sunny afternoon with your dog. The outdoor space is spacious and filled with comfy beanbags and deckchairs allowing you and pooch to sit back and enjoy the view. Dogs are very welcome in the outside space and water bowls are provided. Be prepared for lots of other dogs! This is a popular place for dog lovers so if you have a new puppy that is looking to socialise head over here! And no…tell your girl she is not allowed to eat a chocolate fish! You want her to be as healthy as can be! Something a little different for you if you are in town with your dog and fancy a quick bite to eat. 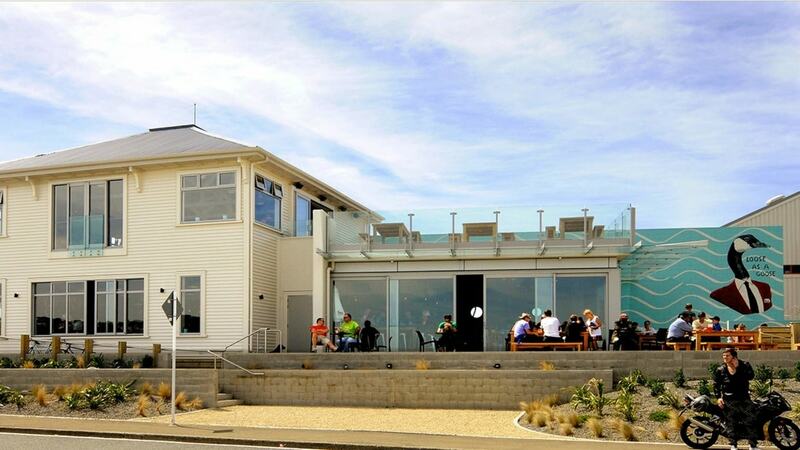 Bernie’s on the Bay is an iconic food and coffee kiosk at the Freyberg Pool. Bernie’s (who was named after the owner’s Burmese mountain dog) has outside seating and is open from 7 am until 7 pm. The owner is quite obviously a dog lover and has lots of great tips if you are looking for some local advice for things to do with your dog in Wellington. Good coffee and tempting sweets! Cafe Thyme doesn’t have its own website so I have included this review for you. Cafe Thyme is nestled behind lots of trees and is right next door to the local garden centre Twigland Gardener’s world, meaning that you won’t have any trouble with parking. This is a cosy dog-friendly cafe famed for having the best eggs benedict in Wellington and making your four-legged friend feel very welcome. The seating inside is in a renovated 1950’s villa while outside there is a huge courtyard with lots of seating. Well behaved dogs are most welcome. #5 Spruce Goose. Lyall Bay. The Spruce Goose which is perfectly located close to airport. The Spruce Goose (don’t you just love that name?!) is housed in an old WWII aircraft hanger, close to Wellington airport. Perfect for that last minute coffee and goodbye with your dog if you are flying overseas and leaving her with a dog sitter. The food ranges from toasted muesli with yoghurt, to dry roasted buffaloe wings and the views which are far-reaching and panoramic over the beach will make you want to miss your flight! If it’s too busy inside then head onto the deck or maybe grab a beanbag and sit with your dog on the grass. Is Olive oil good for dogs? Diabetes in dogs. How to move forward. I hope you enjoyed our top 5 of the best dog friendly cafes in Wellington! If you would like me to add any more to the list, please comment below and I’ll get it into the guide. Until then, happy coffee drinking! Electric Dog Collars New Zealand. The Myths Busted. Buying A Dog Crate. How To Choose And Use The Perfect One.